In order to celebrate your birthdays, weddings, public events… You might need an announcement banner at the front gate of the event. At Digital Printing ltd, we do not only the printing job but also have the design services to make your announcements as noticable as it can be. Annoucements are made from vinyl or paper plastic banners. It is hanged on the entrance or the X standee to give the message of the special occasion like “Happy birthday” or “Just married”… These banners are printed in full-colors with digital color printing technology. We can print your banner in a larger format thanks to our large format digital printer system. If you already have a design, our printers run on the CMYK color mode, so make sure your design are in CMYK mode when sending your design. Because when converting from the RGB color mode, the printer will make an undesirable printing color quality. 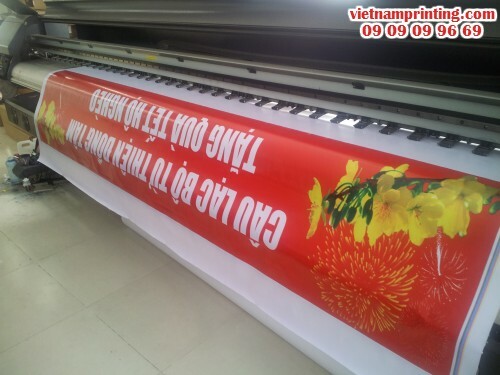 Announcements Printing Services at Digital Printing ltd.
To have the most accurateprinting order, you might need to contact us at the printing center Digital Printing ltd with the address 365 Lê Quang Định Street, ward 5, District Bình Thạnh, HCM city.